These whale watching cruise and experiences in Sydney are set to impress. Choose to gift a basic whale watching cruise of the New South Wales coastline, or gift a combined experience of a whale watching cruise and 2-course lunch at a popular Darling Harbour waterfront restaurants. 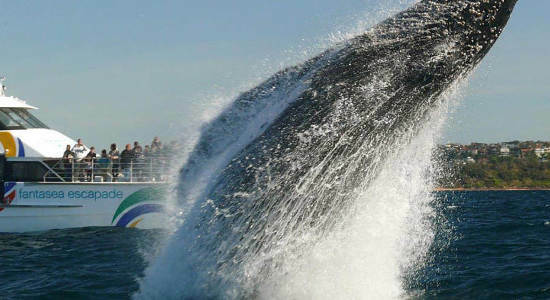 Go whale watching along the Sydney coastline with the 2-3 hour whale watching cruise. 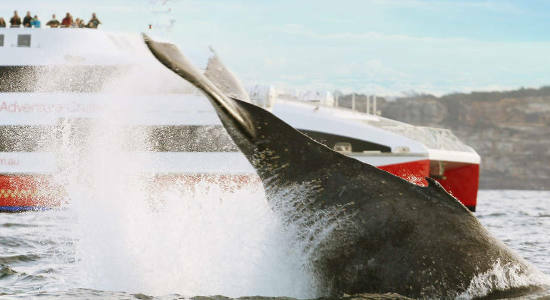 Gift a scenic whale watching cruise and 2-course lunch in Sydney with this gift voucher. Buy it online and gift it instantly today!